Submit a resident, Neighborhood Conservation Representative or Civic Association request. Neighborhood Conservation staff determine if a project request requires an amendment to the existing Neighborhood Conservation Plan and will work with the civic association to decide if the requested project should become a priority. After the Board approves projects for funding, they go through a planning and design process. For each type of project, the process differs slightly. For example, new streetlights require a petition is signed by 60 percent of affected residents and park projects trigger a field study. View the Neighborhood Conservation Program Guidebook to learn about the process. 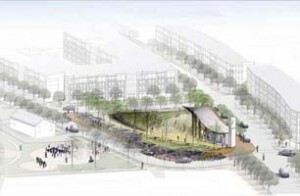 The Town Square project is being developed as the anchor for the Nauck Village Center. 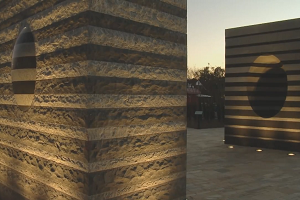 It will serve as a community gathering place for events and learning about the neighborhood’s rich cultural heritage. Learn more about Nauck Town Square. The project is restructuring the intersection of Williamsburg Boulevard and North Kensington Street to improve pedestrian safety. 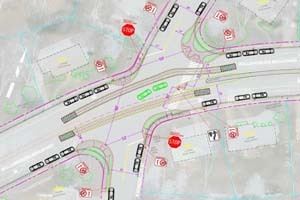 Learn more about the Williamsburg/Kensington Intersection. 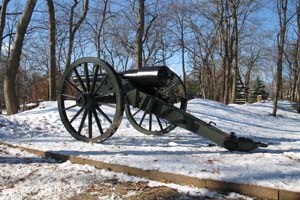 One of three surviving forts in Arlington, Fort Ethan Allen now contains site interpretation that brings an educational component to the park, along with landscaping and ADA improvements. Learn more about Forth Ethan Allen Park. Completed in 2012, Penrose Square is the first of three public squares being developed as a part of the County's ongoing effort to revitalize the Columbia Pike corridor. Learn more about Penrose Square.